PinkInDetroit earned the Pokébadge badge. PinkInDetroit earned the Sixth Anniversary badge. PinkInDetroit earned the 100 Comments badge. PinkInDetroit earned the 25 LOLs badge. 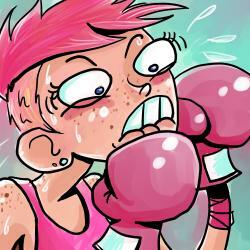 PinkInDetroit earned the 25 Awesomes badge. PinkInDetroit earned the Fifth Anniversary badge. PinkInDetroit changed her profile picture. PinkInDetroit earned the Name Dropper badge.